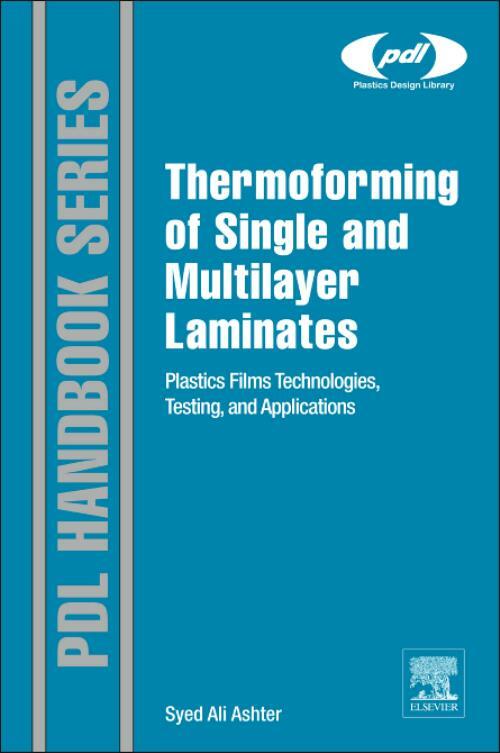 Thermoforming of Single and Multilayer Laminates explains the fundamentals of lamination and plastics thermoforming technologies along with current and new developments. It focuses on properties and thermoforming mechanics of plastic films and in particular single and multilayered laminates, including barrier films. For environmental and economic reasons, laminates are becoming increasingly important as a replacement for solid sheets and paint finishes in many industries, including transportation, packaging, and construction. Yet the processes of film formability during the extensive deformation and elevated temperatures experienced in conventional processing technologies, such as thermoforming, are poorly understood by most engineers. This book covers production processes, such as extrusion, calendaring, and casting, as well as mechanical and impact testing methods. It also describes how testing protocols developed for metals can be leveraged for plastic films and laminates, and includes a thorough discussion on methods for performing optical strain analysis. Applications in transportation vehicles and packaging, including packaging for food, medical and electronics applications, sports equipment, and household appliances, are discussed. Safety, recycling and environmental aspects of thermoforming and its products complete the book. Syed Ali Ashter, Principal at Ashter Consultancy LLC., has worked on developing medical devices from concept to commercialization, and in process development. He performed post-doctoral research on next generation formable films for the automotive industry at McMaster University, and received his Ph.D. in 2008 in Plastics Engineering from University of Massachusetts Lowell. He has been on the Board of Directors of the Medical Plastics division of the Society of Plastics Engineers since 2012. He has published two books: 'Thermoforming of Single and Multilayer Laminates' at the end of 2013, and 'Introduction to Bioplastics Engineering' in 2016.